Is performing well in extra-inning games an important factor in success in the major leagues? Looking at games in the 2017 MLB season, we see there are 13 of the 30 teams that have a winning record (above .500) in extra-inning games. Of those 13, all six of the current division leaders (the Dodgers, Cubs and Nats in the N.L. ; the Red Sox, Astros and Indians in the A.L.) have a winning record in extra-inning contests this season. The Orioles (not one of the division-leaders) have the best extra-inning record at 10-2 (.833) in the majors. 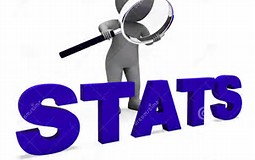 The other three teams with a winning percentage above .700 in extra-inning games this season are the Dodgers (8-3 .727), Diamondbacks (8-3 .727) and Red Sox (11-3 .786). The D’Backs currently hold one of the Wild Card spots in the N.L., while the Dodgers and Red Sox, as noted above, are division-leaders. Here’s one more stat about this year’s extra-inning games records: The 13 teams that have a winning record in extra-inning games have a combined overall record of 886-755, a .540 winning percentage. The 17 teams that do not have a winning record in extra-inning games are a combined 1005-1136, a .469 winning percentage. Seventeen of the 30 MLB teams in 2016 increased their victory numbers over the 2015 season. 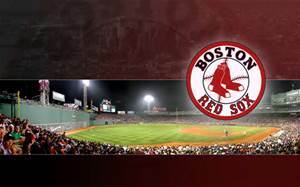 Leading the way were the Boston Red Sox; they increased their win total from 78 in 2015 to 93 in 2016, an increase of 15 victories, the largest improvement in baseball. At the other end of the spectrum were the Minnesota Twins. They had 83 wins in 2015 but saw that total drop to 59 this season, a decrease of 24 wins, most in the league. Here’s a look at the teams that increased their win totals in 2016 and those that saw their win totals drop this season from the 2015 campaign. Of the 10 teams that made the playoffs this year, seven increased their win totals from 2015. The three 2016 post-season teams that had fewer wins in 2016 than in 2015 were the Dodgers, Mets and Blue Jays. We all know about the season the Cubs had in winning their first title in 108 years. But did you know that with 103 wins this year that the Cubs increased their season win total for the fourth straight season? In 2012 the Chicago northsiders had 61 wins… they had 66 the following season, 73 in 2014, 97 in 2015, and 103 this past season. They are the only team that has increased their win total in each of the last four seasons. The Chicago southsiders, the White Sox, are actually just a step behind the Cubs. The White Sox in 2013 had 63 wins, increased that total to 73 in 2014, 76 in 2015, and 78 in 2016, thus increasing their win total in three straight years. The Red Sox, Rockies and Rangers are the only other teams to have increased their win total in each of the past two seasons. The Angels, Dodgers and Padres have each seen their win totals decrease in each of the last two seasons. The Angels have gone from 98 in 2014 to 85 in 2015 and 74 in 2016… the Dodgers have seen minimal decrease in their win totals in the past two years, from 94 to 92 to 91 last season… the Padres had 77 wins in 2014, 74 in 2015, and 68 in 2016. Back in 2013, the Boston Red Sox won their third World Series in 10 years after a drought of more than 85 years from 1918 to 2004. But in the last two years after their last championship the team has not looked anything like a champion. They have followed up their ’13 title with a pair of A.L. East Division fifth place finishes and two seasons under .500. They were 71-91 in 2014 and 78-84 last season. Last year they became the third franchise in baseball history to have two consecutive losing seasons (winning percentage under .500) after winning a World Series. They would have to have two more sub-.500 seasons to approach the other teams on the list: The Toronto Blue Jays won the World Series in 1993 and then had four straight seasons under .500; the Florida Marlins were World Champions in 1997 and then finished under .500 in five consecutive seasons. Here’s a look at the 14 teams that won a World Series and then played under .500 the following season and beyond. The Florida Marlins after winning their title in 1997 had the worst winning percentage the year following a World Series when they won only .333 of their games in 1998. No team was happier to see the 2014 MLB season end than the Boston Red Sox. Last year’s World Series champs this season struggled for most of the year and finished 71-91 (.438 winning percentage) 25 games behind the division-winning Baltimore Orioles. The Red Sox also finished in last place in the A.L. East. * Their .438 winning percentage after winning the World Series the previous year was the second worst following season after a World Series title in baseball history. Only the Florida Marlins had a worse drop after a world championship; in 1997 the Marlins won the World Series… the following year they were 54-108 (a .333 winning percentage). That’s the worst drop in winning percentage for a team winning the World Series one year to the next. 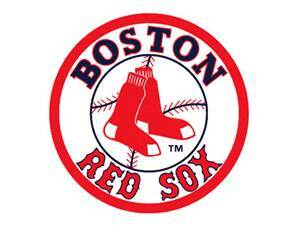 The 2012 Red Sox had a .426 winning percentage; they won the title in 2013; their winning percentage in 2014 was .438. * Boston had the biggest differential in wins from 2013 to 2014. The Red Sox dropped 26 wins… from 97 in 2013 to 71 in 2014. The biggest gain in victories? The L.A. Angels with a +20; they went from 78 wins in 2013 to 98 this past season. Note: Of the 30 MLB teams, 16 improved their win total in 2014 from 2013, one (Philadelphia) had the same win total in 2013 and 2014, and 13 saw a drop in victories from 2013 to 2014. Fourteen of the 30 MLB teams saw a change of at least 10 wins (more wins or fewer wins) from 2013 to 2014.